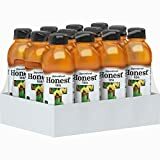 This listing is for bottled Lipton Sweet Iced Tea. 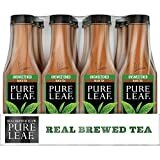 For homemade Lipton Iced Tea see our brewed Lipton tea page. Lipton creates an enormous range of tea-based beverages. The selection and caffeine amount can vary by country and region. This page represents the USA caffeine amounts. The caffeine content of each flavor is different - making it very difficult to generalize. 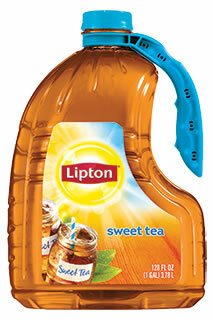 Besides Sweet Tea, the other flavors of Lipton Iced Tea are just lightly caffeinated as shown below. Sugar content also varies with most flavors having 21 grams sugar per 8 ounce serving. The diet versions are sweetened with aspartame and ace-k.
Sugar content: 53 grams (per 20 ounces). 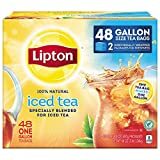 How Does Lipton Iced Tea Compare? Lipton Iced Tea contains 2.40 mgs of caffeine per fluid ounce (8.12mg/100 ml).